ASUS recently added a new business-oriented netbook to its Eee PC line of netbooks, named Asus Eee PC 1016P.The new ASUS Eee PC 1016P netbook comes in an aluminium finished stylish design with enhanced security features like finger print scanner.The netbook is based on Intel Pine Trail platform. New ASUS Eee PC 1016P Netbook comes equipped with a 10.1-inch display with resolution of 1024×600 pixels and is powered with 1.66GHz Intel Atom N455 processor.The notebook houses an Intel GMA 3150 integrated graphics and comes with a 2GB DDR3 RAM and 250GB hard drive for storage options. 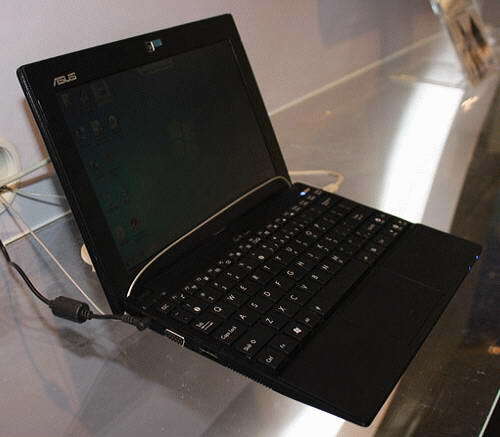 The all new ASUS Eee PC 1016P Netbook Features Gigabit Ethernet, Bluetooth 3.0, Wi-Fi 802.11b/g/n, memory card reader, 3G and 0.3-megapixel camera.The notebook comes packed with a 6-cell battery providing 9 hours of life. 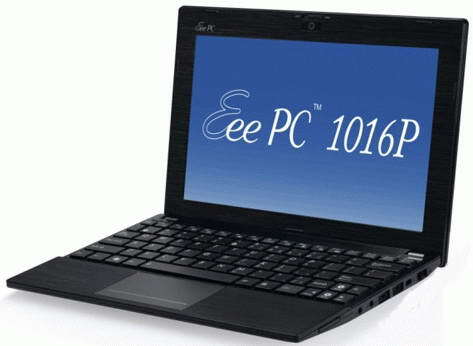 The new ASUS Eee PC 1016P netbook comes pre-loaded with Windows 7 Professional OS and will be availalbe for sale in European markets by Q3 2010 with a price tag of €449. Tags:-1016P, ASUS, ASUS Eee PC 1016P Netbook features, ASUS Eee PC 1016P Netbook specs, ASUS Eee PC 1016P Netbook specifications, ASUS Eee PC 1016P Netbook price, ASUS Eee PC 1016P Netbook price details, ASUS Eee PC 1016P Netbook launch, ASUS Eee PC 1016P Netbook release, ASUS Eee PC 1016P Netbook availability, Asus 1016P, Asus Eee PC, Asus Eee PC 1016P, Bluetooth 3.0, Eee PC 1016P, netbook.